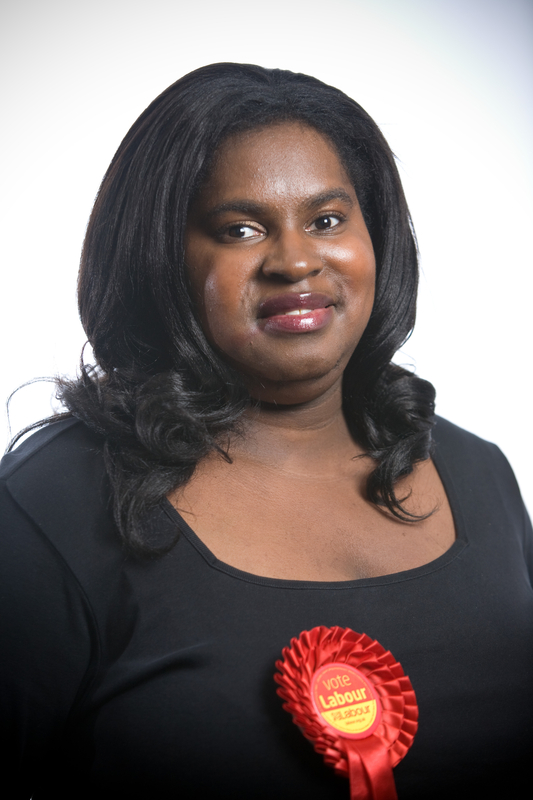 Sanchia Alasia is a Labour Councillor for Alibon Ward in Barking and Dagenham and a specialist in equality and diversity. 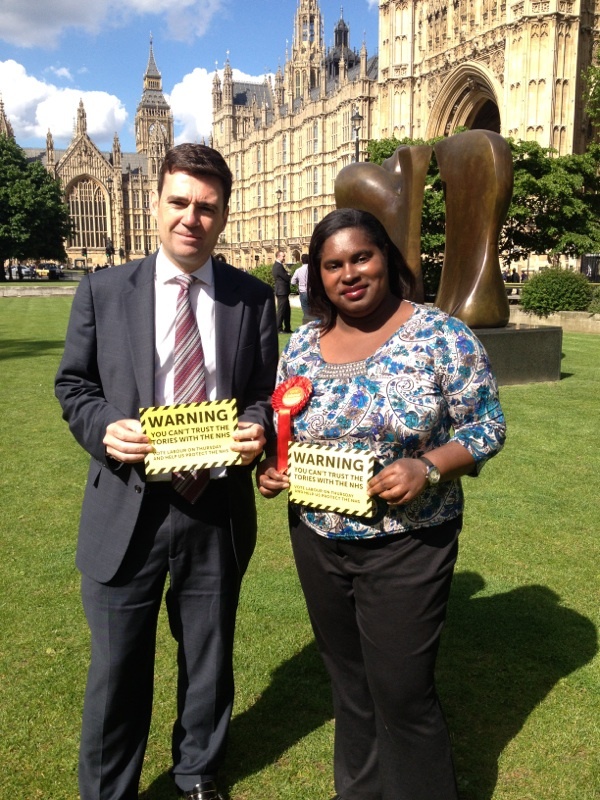 Sanchia was one of the Labour Party candidates for the European elections in 2014 in the London region. Sanchia writes regularly about the French political landscape and her pieces can be read on www.leftfootforward.org the Fabian review and her own blog. It’s been over a month since the local and European elections in the UK and an opportune time to reflect on the results and how this bodes for Labour’s success in the general election in less than a year’s time. 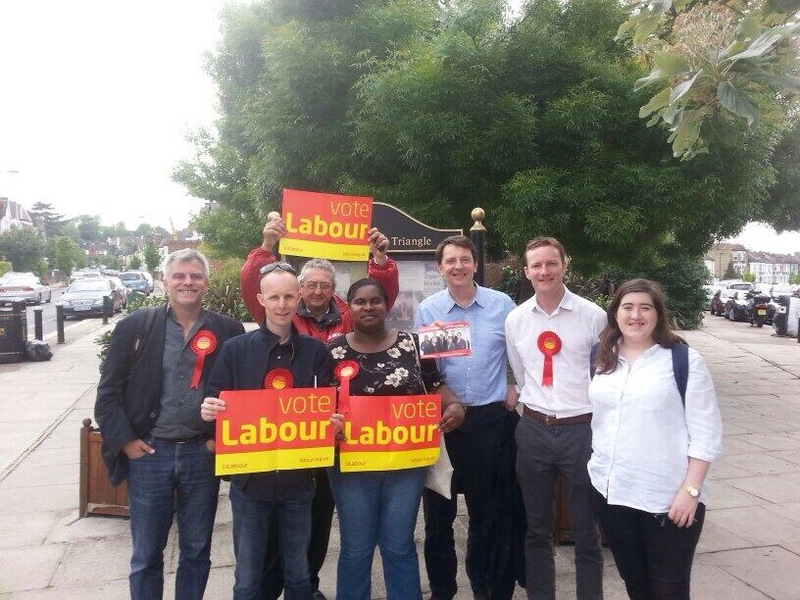 I was privileged to be one of the MEP candidates for the London region for Labour and spent the past year campaigning with the London Labour across the region. 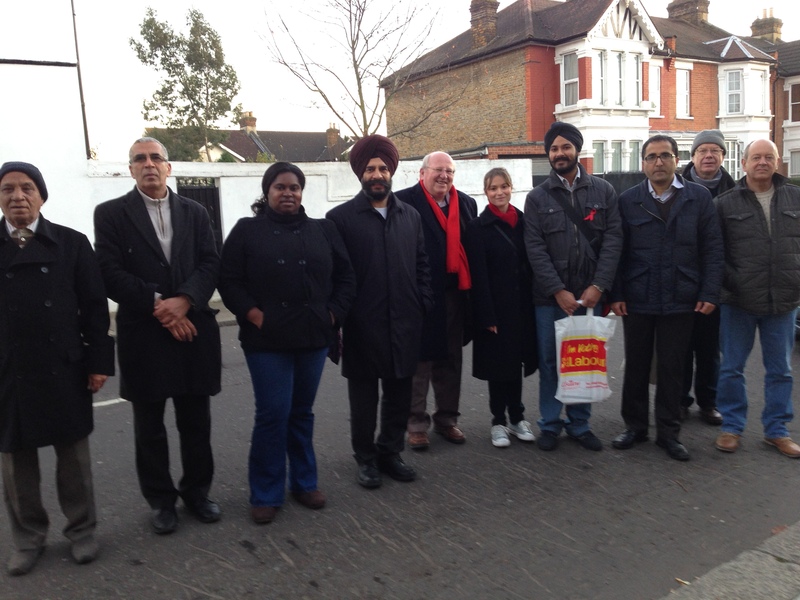 The memories of meeting with party members and talking to voters across the capital is one’s I will never forget. Whilst campaigning with Labour party members, I was frequently asked my predictions for which party would win the Euro elections in the UK overall. It became clearer to me, especially during the short campaign where I worked full time on the campaign during the last month that Labour would have good results in London but that UKIP would beat us nationally and so I stated as such. The media coverage that was given to Nigel Farage and the euro-scepticism that was in the air all boosted his campaign. Turnout was disappointingly low at 36%. 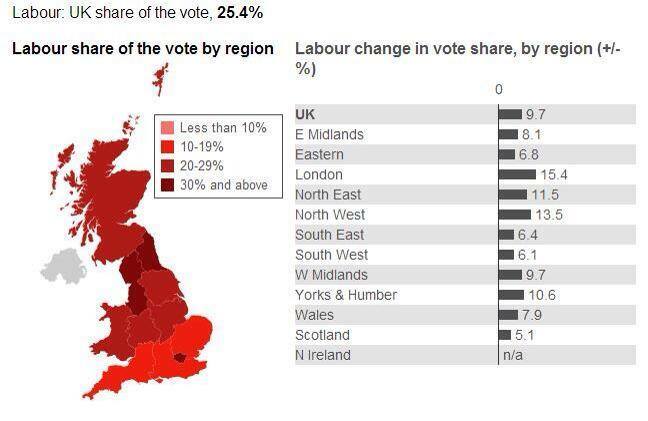 Labour did exceptionally well in London and we had good results in the West Midlands, North West and North East. However it was a disappointment that we did not pick up more than one seat in the largest region in the South East, East of England, East Midlands or Wales. Gaining these seats would have ensured Labour’s win in both the Euro and local elections last month and given a strong boost for the campaign next year. 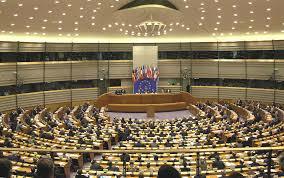 The European parliament has an opportunity going forward to strengthen its legitimacy and develop more openness and transparency in how its primary institutions the European Council and Commission operate. Labour MEP’s will need to work hard to counter the Eurosceptic groups in the parliament and reach out to its constituents about the work they do and how it makes a difference to ordinary people’s lives. This will certainly be easier in London where Labour now has half the MEP’s. Labour’s results were the best since 1971 and in order to win next year, the target seats in London should get the necessary support from the London Labour party and its local activists, as it’s here that we are most likely to gain the seats needed to have Ed Miliband as our prime minister next year. 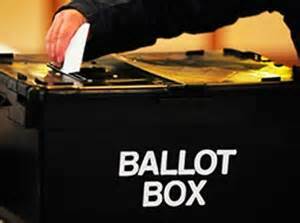 Labour had 37% of the vote in London, gained 203 new councillors, controls 20 out of the 32 London boroughs and is now in control of the Local Government Association for the first time in a decade. In Barking and Dagenham, where I re-stood as a councillor, even I was a little surprised that we took all 51 seats of the council again, as we did in 2010. 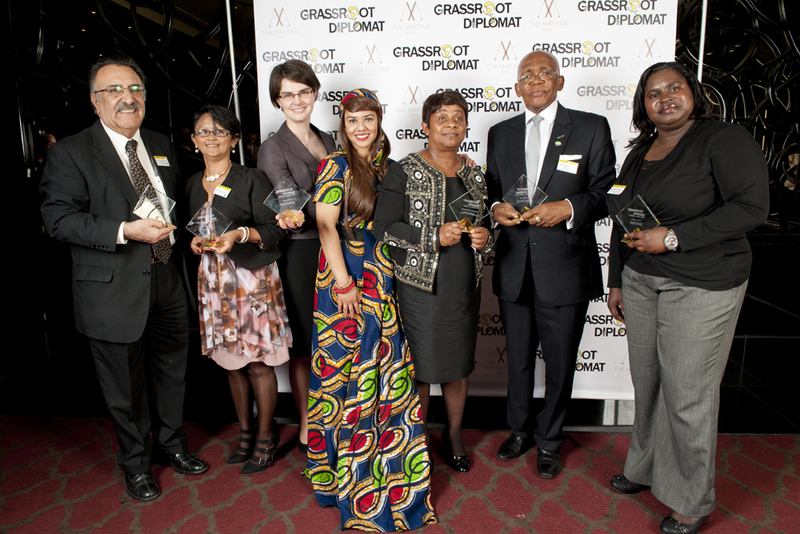 We have been a strong campaigning force and realised after winning in 2010, that there was no room for complacency. 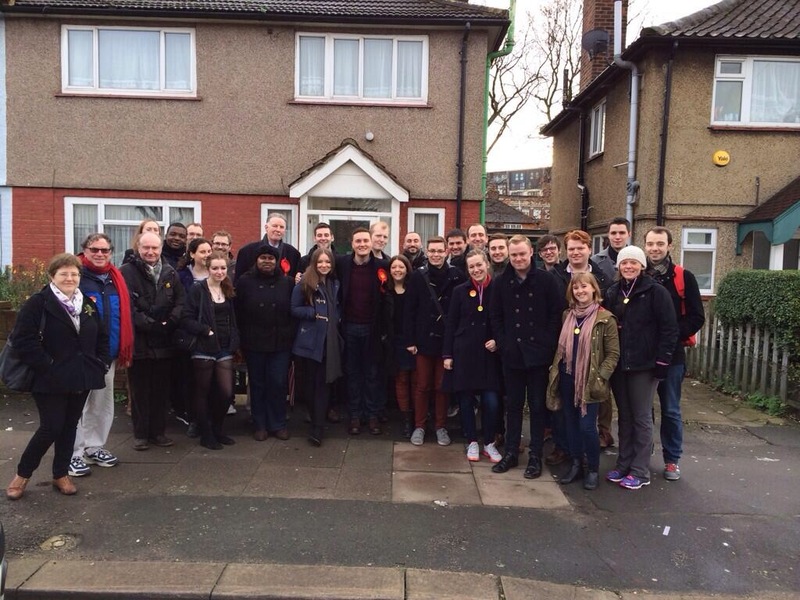 We kept our Labour doorstep sessions every two weeks, which allowed us to keep that connection with our voters, hear their concerns and deal with them over the past four years, which gave the Barking Labour party a credible record of listening and acting on the priorities that mattered to our residents. Labour needs to talk about the issues that will resonate with people including, jibs, growth and wage freezes. They also need to tackle the difficult issues such as immigration, but in the grounding that diversity is a source of our strength to us as a nation and with solutions to tackle the Labour makes effects of increased pressures on housing and school places. Labour can win just after one term out of power, if we keep working hard on the doorstep and show that we take a real interest into finding sustainable solutions that will make a real difference to people’s lives. 3 MEP Candidate hustings hosted by the National Alliance of Women’s Organisations (NAWO) at Europe House, London from 2pm-5pm. After two rounds of the Clegg vs Farage European debate, I am inviting all women to come and hear a positive debate about how the European Union has benefitted women. This will take place at the GMB Offices, Euston, and you can find out more about the event here. I recently wrote an article about how the welfare reforms are having an impact on mental health and well-being and you can read the article on the 2020health website. 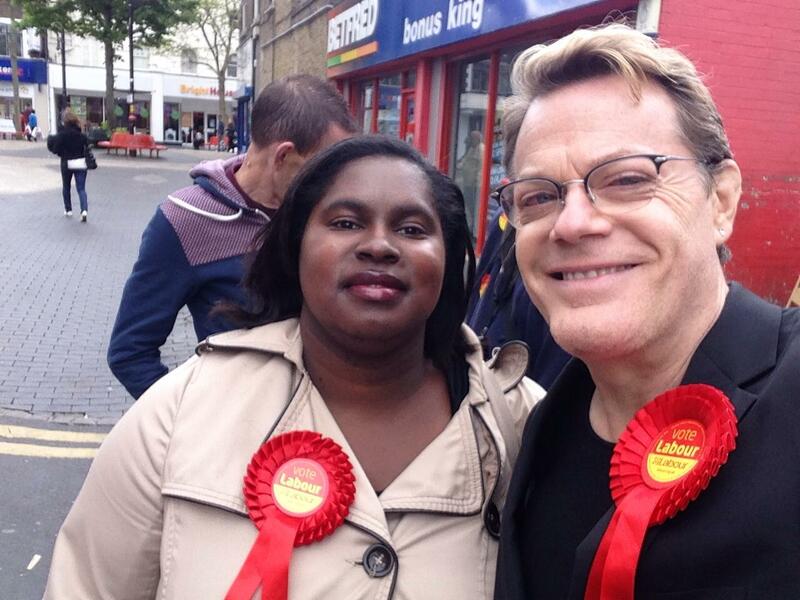 I will be campaigning with Eddie Izzard on the 15, 16 and 18 April with a European fundraiser with him on the evening of the 16th. I look forward to seeing you on the short campaign trail all across London after Easter and do get in touch you’d like me to join your events and talk Europe or equality. I have spoken at two debates about Europe this month, one hosted by the Havering Fabian Society and one by the London School of Economics, Labour and Cooperative society. I think these debates are healthy and many more of them should be organised. I am a pro-european, but think we should have discussions about how we can reform Europe to make it work better for ordinary hard working Londoners. I addressed the Redbridge Young Labour AGM about the importance of young people and Europe and the Romford Labour party and the Enfield Labour womens forum about the importance of the European elections. I have been invited to a MEP candidate hustings being held by The National Alliance of Women’s Organisations (NAWO) in March. 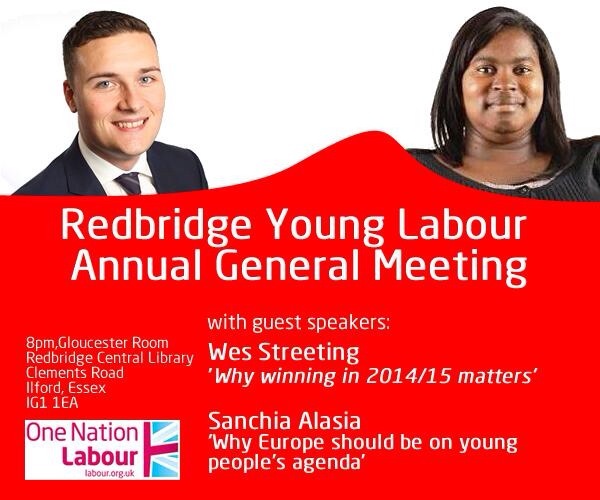 The hustings will be attended by a diverse range of young women (16-25 years old) from across the United Kingdom. The young women will be part of a project funded by the Directorate General for Communications of the European Parliament that will be facilitated by NAWO. Through working to create a manifesto of demands that reflect their needs and aspirations, in addition to direct contact with MEP candidates and increased engagement with the work of European Parliament the young women will be encouraged to use their vote in the upcoming elections of May 2014. 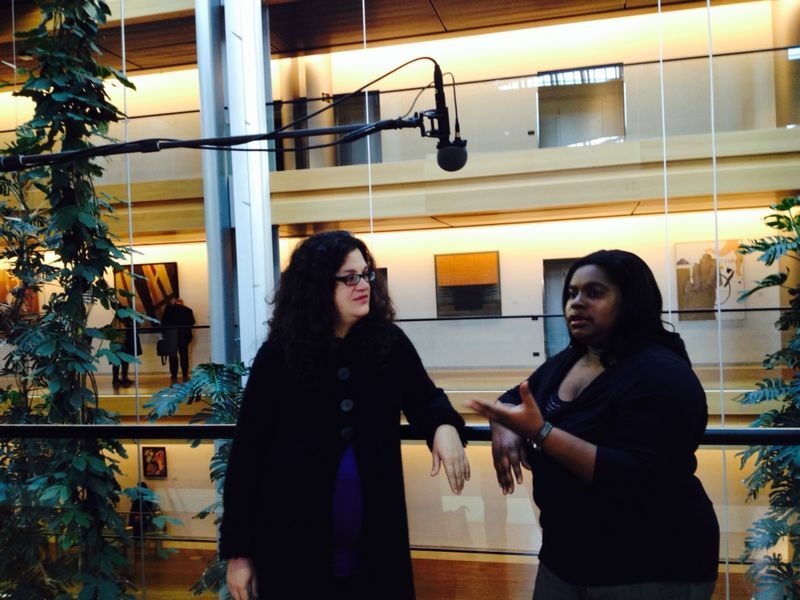 I will be heading back to the European Parliament next month, to continue my capacity building sessions with the European Women’s Lobby, European mentoring project where I shall be receiving training on communication skills. I will also have a catch up with me mentor, Mojca Kleva MEP since she had her baby and find out more about how she is juggling motherhood and politics. I will finalise arrangements for her to come and help me campaign here in London and for me to return the favour in her country, Slovenia. I will be a guest speaker at an event the European Women’s lobby is organising at the European parliament on the 18th February, hosted by Claude Moraes MEP called ‘My MEP is just like me, Gender Equality and Diversity in European Political Life’. I attended the ‘Help set the agenda for Labour’s plan for London’s Health’ meeting this month and contributed to developing practical proposals for health policy in London in the run up to the elections in May and the General Election in 2015. I look forward to speaking at an event organised by the Enfield Women’s Forum on the 28th of January, it is so important for women to get their voices heard in political and public life. Feel get in touch if you would like me to join or speak at one of your events and/or campaign sessions. 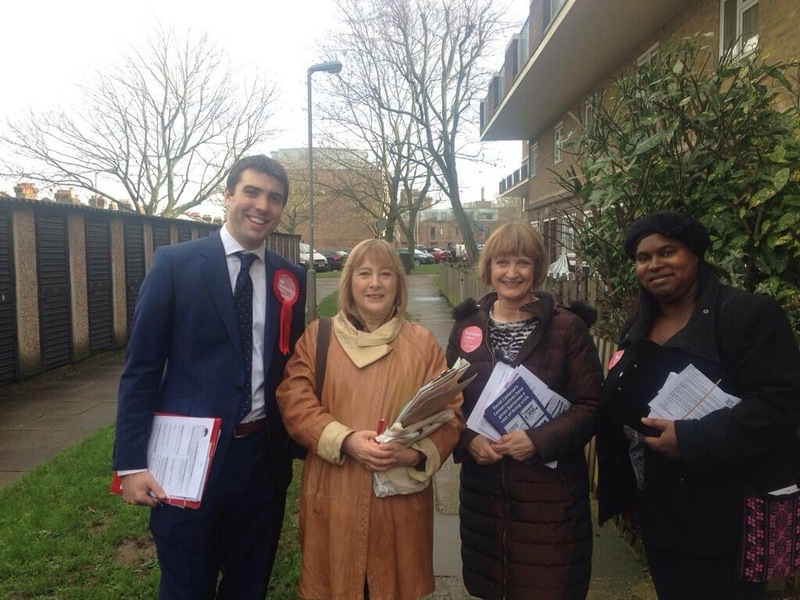 The picture below is me with Will Martindale, Labour’s parliamentary candidate for Battersea, Mary Honeyball MEP for London and Tessa Jowell MP for Dulwich and West Norwood.